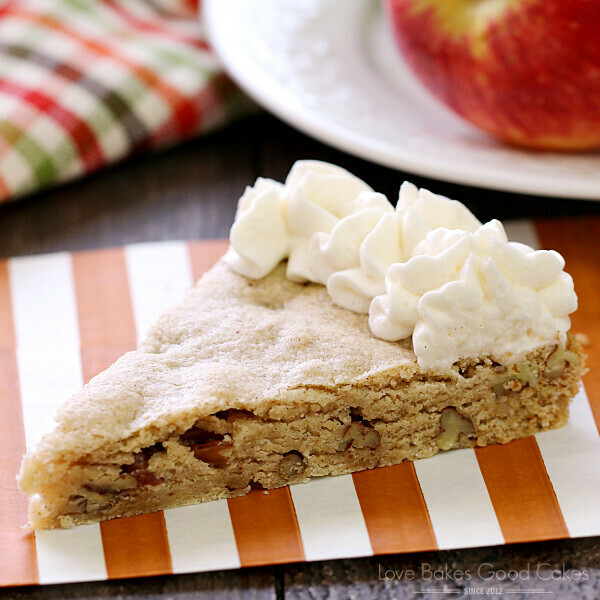 Full of fall flavor and easy to make! 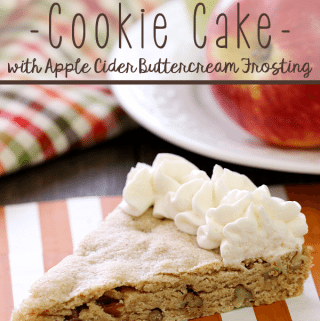 This Apple Cider Pecan Cookie Cake with Apple Cider Buttercream Frosting recipe gets off to a quick and easy start with Martha White muffin mix! 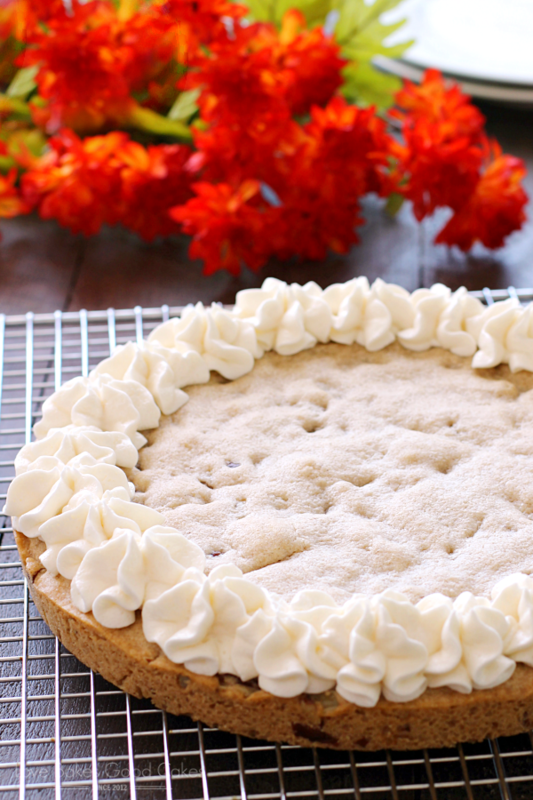 I have to admit that I have been waiting for fall baking for months now! I absolutely love the flavors of the fall season – don’t you?! Not to mention, the weather is finally starting to cool down just a bit … enough to make you want to turn on the oven and bake something! While shopping at Kroger (aka Fry’s here in Arizona! ), I picked up a few Martha White© Muffin Mixes. With it being fall and all, I wanted to experiment with the Apple Cider Muffin Mix. Lemme tell you, y’all are gonna LOVE this recipe!! 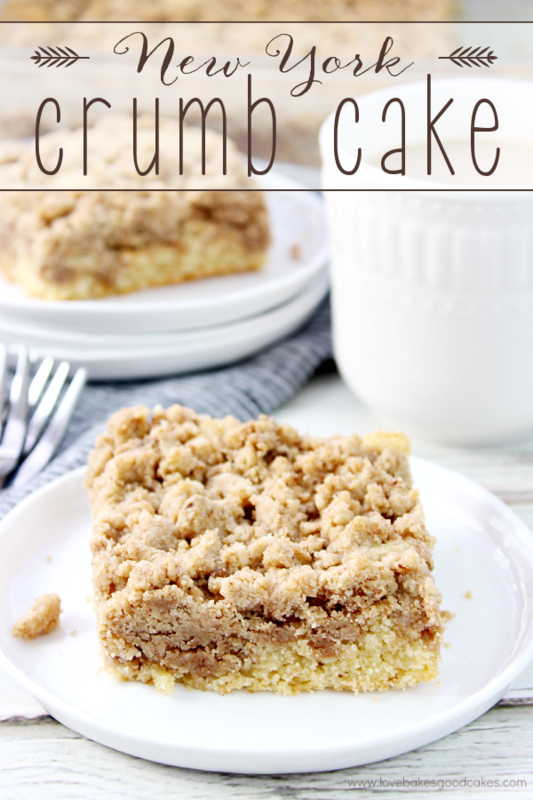 It is absolutely perfect when you need an easy treat idea! 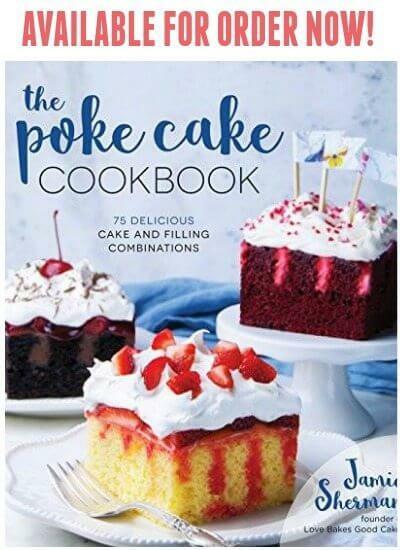 By using Martha White© Muffin Mixes, I was able to get my recipe in the oven lickety-split … and the flavor was spot on as to what I was hoping it would be! 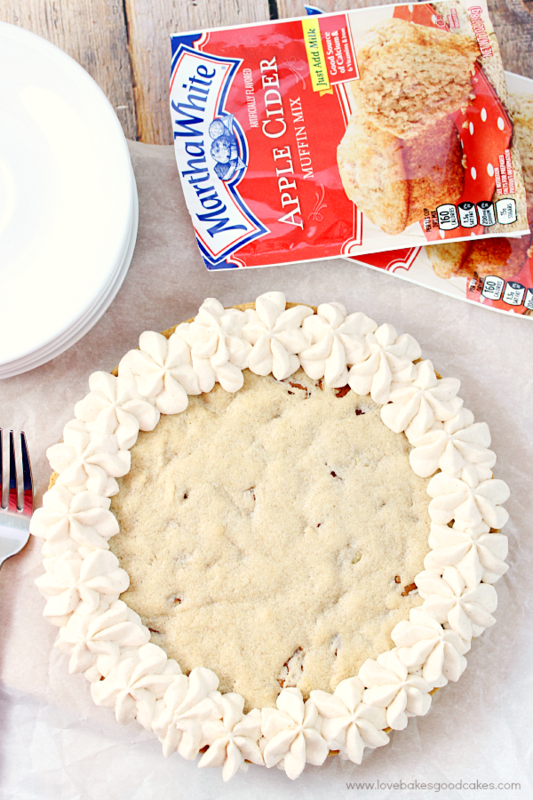 Martha White® is a trusted name in Southern cooking and baking. Martha White® has everything you need for simple, delicious baking – from biscuit mixes, cornbread mixes, flours, muffin mixes, hushpuppy mixes and even pizza crust mixes! 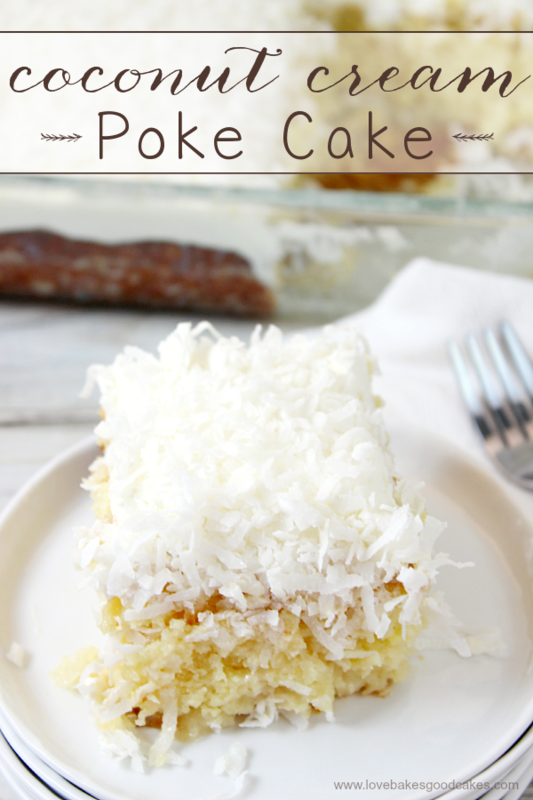 It’s a great way to get the taste of homemade without all the fuss! I especially love the Martha White® muffin mixes!! I keep them on hand to make pancakes and I love using them as a fuss-free base in some of my favorite recipes! 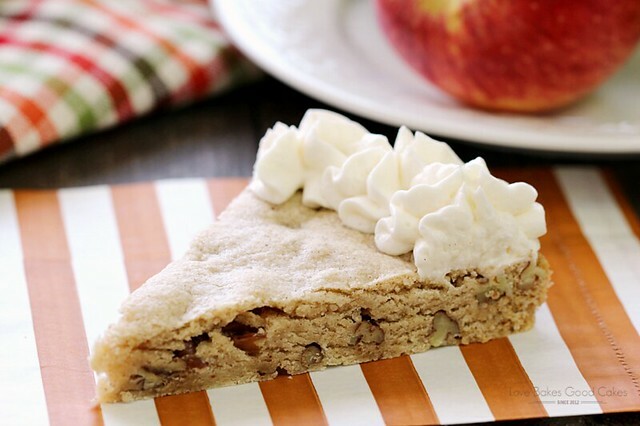 This Apple Cider Pecan Cookie Cake with Apple Cider Buttercream Frosting is perfect for an after-dinner treat any time of the year, but it’s especially nice now that we’re heading into fall! It would also make a show-stopping treat for potlucks! You can find your local Kroger store here! Preheat oven to 350°F. Spray a 9-inch cake pan with cooking spray, or line the bottom of the pan with a piece of parchment paper and set aside. In a large mixing bowl, cream the butter until light and fluffy with an electric mixer. Add the egg and vanilla extract and mix until well combined. 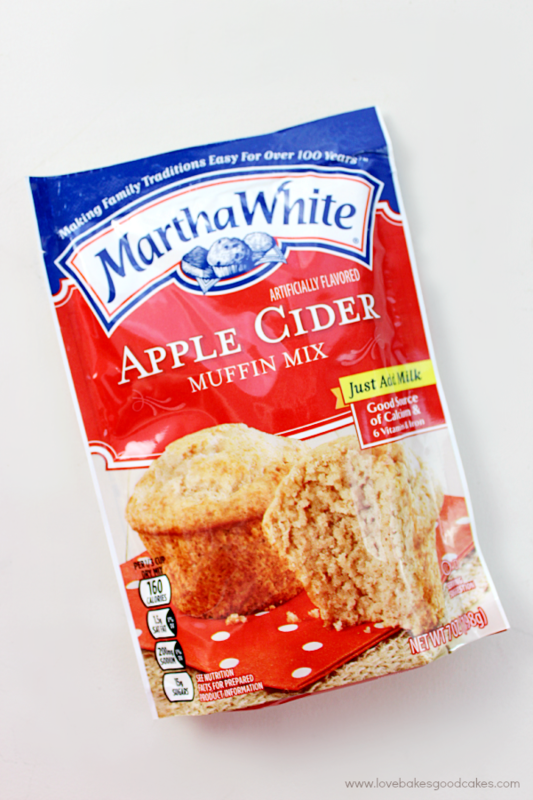 Add both packages of Martha White© Apple Cider Muffin Mix. Mix until dough comes together. Stir in the pecans. Spread the dough into the prepared pan, using your clean hands or a spatula to help press out and evenly fill the pan. Bake 20-25 minutes or until the edges are golden brown and the cookie cake is cooked through. Remove cookie cake from the oven and place on a wire rack to cool completely in the pan. While the cookie cake is cooling, prepare the frosting by creaming the butter in a mixing bowl. Add the remaining ingredients and mix until combined, stopping the machine and scraping down the sides of the bowl at least once, then continuing to mix until the frosting is light and fluffy. 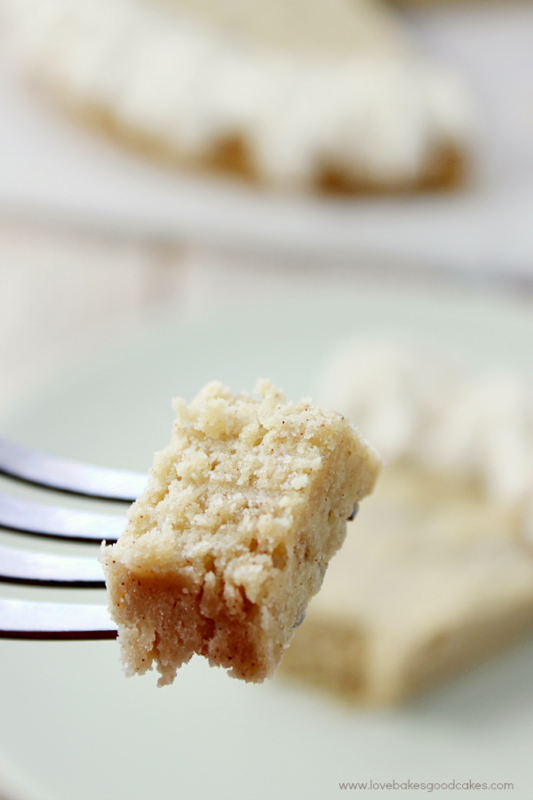 Carefully run a butter knife around the outside edge of the cookie and carefully remove it from the pan. Place on a serving plate. 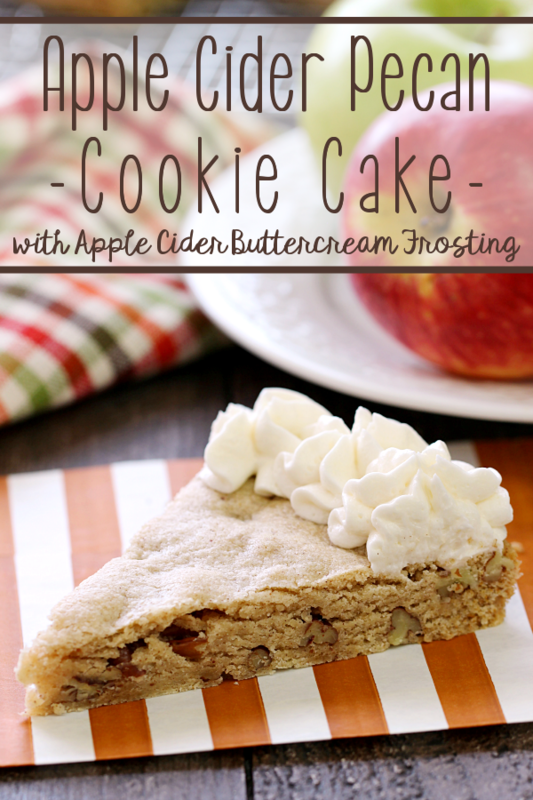 Decorate with Apple Cider Buttercream Frosting. 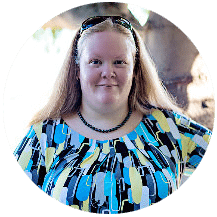 Martha White also carries a Pumpkin Spice Muffin Mix – although I haven’t found it at my local Kroger store recently, know that I am looking for it! I have another great idea that would use that yummy muffin mix!